Eight super-bright RGB LED indicators that are ideal for adding visual notifications to your Raspberry Pi without breaking the bank! Add a tiny yet convenient power switch to your Pi with OnOff SHIM! 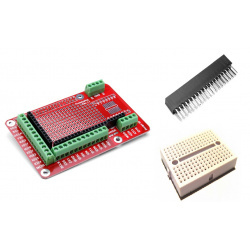 The PiOT relay board allows you to bond a GPIO pin to a relay with the touch of a button. 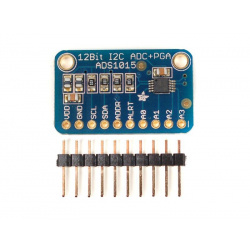 This is a Mini Real-Time Clock module, it's design for the Raspberry Pi, but it can also be used with an Arduino. 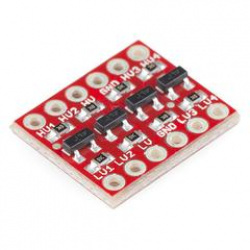 Simply plug this tiny module into the GPIO header on the Raspberry Pi and away you go! This cute little GPIO reference board from ModMyPi allows you to quickly and easily distinguish between the different pins of the Raspberry Pi Model B+, Raspberry Pi 2B and Pi 3B! It's even got a key chain hole, so you can carry it around and keep it handy - you'll never know when you need to hack a Pi! 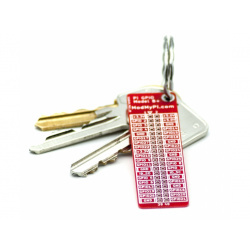 The GPIO reference board features BCM numbering on one side and the pin names on the other. It can be soldered for permanent referencing, or slipped on and off when required. 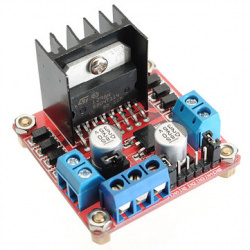 This module has a built-in 5v power supply, when the driving voltage is 7v-35v, this supply is suitable as a power supply. DO NOT connect input voltage to +5v on controller interface. Note: Package does not include the screws. It is a neat and very useful solution for using a VGA display/monitor with your Raspberry Pi and is cheaper than an HDMI to VGA adapter or similar. 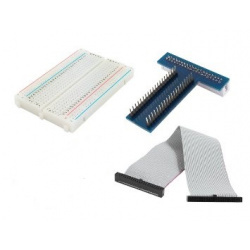 The VGA connection is driven natively in hardware over the GPIO pins (using a parallel interface) and uses around the same CPU load as the HDMI connection on board. It is capable of displaying 1080p60 VGA video with no CPU load. It is also possible to drive this interface at the same time as the HDMI connection, so a dual screen set up is also possible. This add-on board uses all but 6 of the GPIO pins so it may not be possible to use other add-on boards at the same time as the VGA adapter. You should disable all of the GPIO pin's function so that it can work properly. We strongly recommend that you use 800x600 resolution. Higher resolution will slow down your Pi and use more RAM. - The VGA output supports resolution:from 640 x 480 up to 1920 x 1024 at 60fps. - With 6 bits per channel you have a maximum of 262144 colours. Raspberry Pi main board is not included. The Explorer HAT and Explorer HAT Pro are the perfect prototyping side-kicks for your Raspberry Pi! We've added a heap of useful input and output options that will take your projects to the next level. Great for driving motors, using analog sensors, interfacing with 5V systems, and touch (even fruit based!) interfaces. 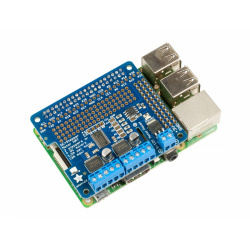 It's compatible with Raspberry Pi 2, Pi 3, B+, and A+ and comes fully assembled. 5V tolerant inputs - Hook up your Pi to accept input from 5V systems (like Arduino Uno/Leonardo or 5V Trinkets). We've used a 5-channel buffer that will accept anything from 2V-5V as logic high. 5V powered ouputs - The onboard darlington array can supply up to 500mA per channel (but you'll be limited to driving around 1A total from the board). Ideal for stepper motors, solenoids, and relays. Eight capacitive inputs - Four along the front edge for touch input (labelled 1, 2, 3, 4) and four up the side for attaching crocodile clips to objects (such as fruit, or tin foil) for experimentation! Four coloured LEDs - Independently controllable LEDs (red, green, blue, and yellow) that make great status indicators. Four analog inputs (pro only) - A tidy way to integrate analog signals into your project. Two H-Bridge motor drivers (pro only) - Drive two 5V motors bidirectionally with up to 200mA per channel. Ideal with our micro-metal gear-motors to create the perfect little buggy! You can even soft-PWM for full speed control. Inspired by Alex Ellis' work with his Raspberry Pi Zero Docker Cluster, we developed these boards for him to use as status indicators. Blinkt! offers eight APA102 pixels in the smallest (and cheapest) form factor to plug straight onto your Raspberry Pi. Each pixel on Blinkt! is individually controllable and dimmable allowing you to create gradients, pulsing effects, or just flash them on and off like crazy. The data and clock lines are connected to GPIO #23 and #24 respectively but for simplicity you can just use our Python library to drive them. Our Blinkt! Python library will have you blasting out rainbows in two shakes of a unicorn's tail! There's a stack of examples too, from binary clocks to cheerlights and flickering candles to Larson scanners! Be careful to plug in your Blinkt! the correct way round, it has curves on the top that match the corners of your Raspberry Pi. The dimensions of Blinkt! 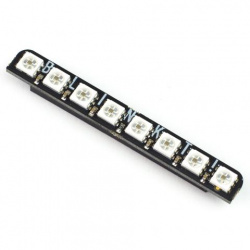 are 65mm long x 8mm wide x 8.5mm thick (thickness includes header and pixels). We featured Blinkt! on a special episode of Bilge Tank where we tried to come up with as many different code examples as possible in one morning. Check it out below. Learn how to install and get started with your Blinkt! Pic is for illustration purposes only. Colour might differ between blue and red as per manufacturer stock availability. This T shaped breakout board makes it easier to use the GPIO pins as it is bigger in size and labeled. The board also tightly fits on to a breadboard making electronic experiments much easier. The hole gap is 2.54mm, and it's compatible with IC with DIP package. The IO port can be quickly and easily implement your ideas. Our SHIMs (Shove Hardware in the Middle) are a new range of boards designed to be small, affordable, and handy. They're just 1mm thick (the bare board, not including mounted components) and designed to be soldered straight onto the GPIO pins of your Pi, if you wish, so that you can use them with HATs and pHATs on top. To install the software, open a terminal and type curl https://get.pimoroni.com/onoffshim | bash to run the one-line-installer. Give your Raspberry Pi Ultimate GPS Project a boost with this external active antenna. This GPS antenna draws about 10mA and will give you an additional 28 dB of gain. The connecting cable is 5m long so it will easily reach wherever you need it to. The antenna is also magnetic so it will stick to the top of a car or truck (or any other steel structure)! Comes with a standard SMA connector on the end. 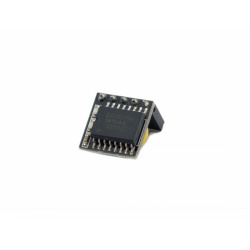 If you want to connect to our Ultimate GPS V3 module, be sure to pick up a uFL to SMA adapter! Works best with Raspberry Pi model A+, B+, Pi 2 B or Pi 3 B. Comes with an assembled & tested HAT, terminal blocks, and 2x20 plain header. Some soldering is required to assemble the headers on. Stacking header not included. Raspberry Pi, motors, and battery pack are not included but we have lots of motors in the shop and all our DC motors, and stepper motors work great. Check out Adafruit's detailed tutorial for tons of info including schematics, wiring diagrams, python libraries and example walkthroughs. PiFace Digital is designed to plug on to the GPIO of your Raspberry Pi, allowing you to sense and control the real world. With PiFace Digital 2 you can detect the state of a switch, for example from a door sensor, a pressure pad or any number of other switch types. Once this state has been detected, you can write your own software for the Raspberry Pi that determines how to respond to that switch state. You can drive outputs to power motors, actuators, LEDs or anything else you can imagine! Frequency range from 76-108MHZ automatic digital tuning. High sensitivity, high stability, low noise, radio module. A low-power electro-tuning FM stereo radio circuit, which integrates the IF frequency selection and demodulation network. LC tuned oscillator fixed chip. The included 40 Pin "Single Shroud" Header, and 14mm Mounting Kit are designed to work with the HighPi Raspberry Pi Case. The ModMyPi PiOT (Pi of Things) relay board is smart! Not quite Skynet smart, so you can tell John Connor to stay at home and play with his Raspberry Pi. But it's much smarter than your average relay board! We've created a Raspberry Pi Relay Board that does away with the complicated wiring and fiddly jumper configuration of your standard relay board, and bundles that control into an on-board PIC, making configuration faster, easier and safer. The PiOT relay board can be connected directly on top of the Pi, or via a GPIO ribbon cable (not included), and also features mounting points for the Raspberry Pi Zero. Each is board is fully assembled, and ready to plug and play! 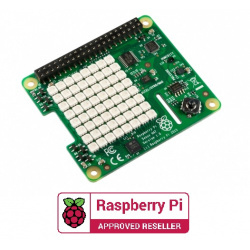 We also stock cases for the Raspberry Pi B+/2/3 & Raspberry Pi Zero. 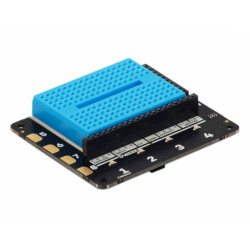 The PiOT relay board allows you to bond a GPIO pin to a relay with the touch of a button. No need to tie pins using resistors, and no need to re-wire the circuit when you want to change which GPIO pin fires which relay. Simply select your GPIO pin using the on-board tactile buttons and two-digit 7-segment display, and switch that pin high or low to fire your designated relay! The on-board display can be configured to show the Pi's BCM or Pin number system for GPIO/relay bonding, and also demonstrates visual feedback of the relay on/off status for easy monitoring. The display can also be used to test relays before configuring them with your Pi, in addition to providing menu access for setting configuration. The PiOT relay board also features multiple innovative start-up modes designed to combat "chatter" on the GPIO which can lead to unexpected behavior. Variable delayed start-up allows users to pause activation of the relays for a short period during boot, ensuring that GPIO pins are correctly set prior to use, or the alternative handshake mode utilises a specific pulse train to enable activation and de-activation of the relay board at the user's will. No more accidental switching of relays at boot! 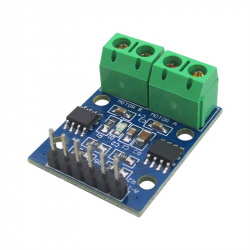 The PiOT relay board uses low current (~100mA) PWM (pulse width modulation) to significantly reduce the current required to hold the relays on when compared to other relay boards. This means that relay boards can be stacked up to 5 high without requiring additional external power. Warning! Relays can be used to switch large voltages and currents. Please, please, please be careful when undertaking any work with this type of power - it can kill!